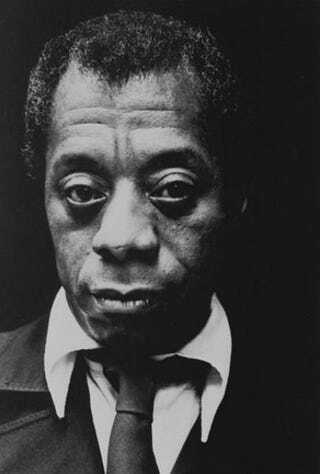 James Baldwin—novelist, essayist and simply one of the greatest writers of all time—would have turned 90 this year. New York Live Arts is marking the occasion with “The Year of James Baldwin,” a celebration of the writer’s life and legacy. The festivities begin today and run through April 27, with “Jimmy at High Noon,” a series of daily readings by actors, musicians and writers including Jesse L. Martin, Nikky Finney, Toshi Reagon, Ruben Santiago-Hudson, Patricia J. Williams and André De Shields. In the spirit of the celebration, here are five things you may not have known about the noted author. 1. He was a teen preacher. From age 14 to 17, Baldwin was a minister—like his stepfather—after he experienced what he called “a prolonged religious crisis.” As he described in The Fire Next Time: “I became, during my fourteenth year, for the first time in my life, afraid—afraid of the evil within me and afraid of the evil without.” He would eventually leave the pulpit after becoming disillusioned by Christianity. Religion would be a theme he would revisit in his works, including his debut novel, the semiautobiographical Go Tell It on the Mountain. 2. He was a film critic. Baldwin didn’t only reserve his razor-sharp intellect to dissect the meatier topics of race and social justice. In his book-length essay, “The Devil Finds Work”—which the Atlantic recently dubbed “The Most Powerful Piece of Film Criticism Ever Written”—Baldwin offers some compelling insights about the politics of American cinema. It is impossible to accept the premise of the story, a premise based on the profound American misunderstanding of the nature of the hatred between black and white. There is hatred—certainly: though I am now using this word with great caution, and only in the light of the effects, or the result, of hatred. But the hatred is not equal on both sides, for it does not have the same roots. This is perhaps a subtle argument, but black men do not have the same reason to hate white men as white men have to hate blacks. The root of the white man’s hatred is terror, a bottomless and nameless terror, which focuses on the black, surfacing, and concentrating on this dread figure, an entity which lives only in his mind. But the root of the black man’s hatred is rage, and he does not so much hate white men as simply want them out of his way, and, more than that, out of his children’s way. Using an economy of words, Baldwin could say more than most folks do with volumes. Though he only released one book of poems, Baldwin wrote poetry throughout his life. Beacon Press recently released a new collection of his only published book of poetry, titled Jimmy’s Blues and Other Poems. Excerpted from Jimmy’s Blues and Other Poems by James Baldwin. Copyright 2014. Excerpted with permission by Beacon Press. 4. He was a student of noted Harlem Renaissance poet Countee Cullen. In the twilight of his career, Cullen—whose book of poetry, Colors, was a touchstone in the Harlem Renaissance movement—worked as a French teacher at Frederick Douglass Middle School, where Baldwin was a student. Cullen exposed Baldwin to great black writers and shared his experiences of living in France. 5. His desire to leave America was partly influenced by his best friend’s suicidal leap off the George Washington Bridge.